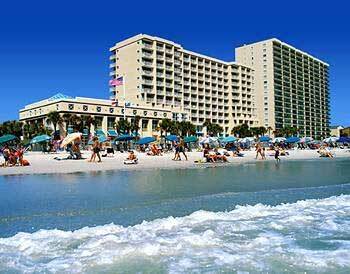 I heard that the CHS class of 59 was planning a big to-do at the beach this fall and I contacted one of the main movers and shakers of that historic class (it was the LAST CHS class! ).....Arleen Clark ( Barry Clark's sister). 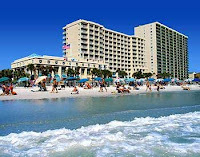 "I have been the co-chair of all of the Class of 1959 reunions to date and am planning a big to-do at the Ocean Drive Resort in Nov. for my class and we are also including the Class of 1958. We're not getting any younger, might as well. We have about 70 signed up so far and more to come I'm sure. After the wonderful 50th reunion in 2009, I had no interest in planning any more reunions but did promise to do this so I am. You know, the Class of 1959 was the very last graduating class from "old" Central High School. I guess you would say we were historic. We also had the first integrated class, Gus Robers, who died years ago. He worked for the Postal Service. 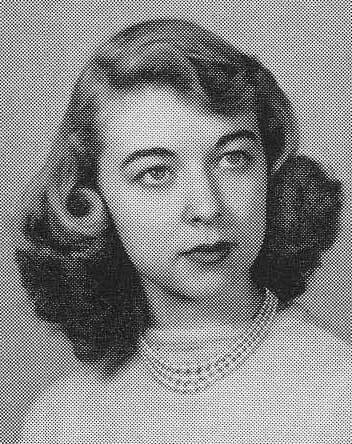 I knew his sister, Gervais, who was in the first integrated class at Piedmont Jr. High School, was very fond of her. A very brave family to be sure. I have attended two "everyclass reunions" on the campus of CPCC and they were a lot of fun. Arleen and Barry are both living in the same town of Robbinsville, NC...which is located in the beautiful mountains of South Western, NC. Robbinsville is the Graham county seat. Spring always reminds me of baseball. 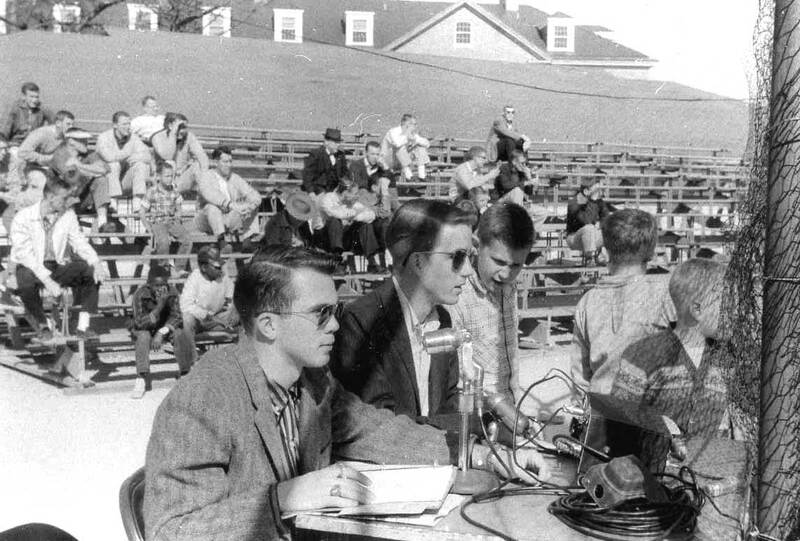 And I think back to those days in Chapel Hill when Barry and I were hired by the local radio station to broadcast UNC's games. Barry did the play by play and I did the "color." He knew the game very well. I hardly knew it at all. Undoubtedly, watching his Dad, broadcast sports events for WBT in the 40's was good "training." But frankly, Baseball never caught my fancy. However, I later grew to really..........despise it. Not that there was anything wrong with the game, but it began interfering with my life. The baseball season started getting longer and longer....also you never knew when a game was going to end. 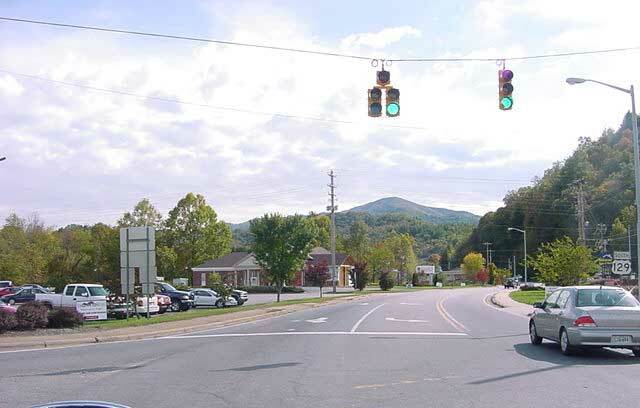 And those extra inning games in Chapel Hill seemed to always occur on Friday afternoons, when I was anxious to get out of town and on the road to Charlotte for a Friday night date with my girlfriend. It seemed that the pitcher never could adjust his hat enough...and the batters could never stop hitting enough foul balls....and the innings kept piling up.....as my social life was slowly going to .........you know. Later, when I came to work in Washington, my station carried the Washington Senators Games......which for years would wipe out my evening radio show an inordinate number of times during the season. Adjusting caps, arguing with the umpire, pitchers digging up dirt with their feet, and spitting.......all of the "non action" on the field, cost me a lost of money. I suppose the final irony is that my two sons and my 5 grandsons....are all baseball fanatics....so I have to try to get my grandaddy to grandson "bonding" stuff.......in between innings. Speaking of CHS kids who were the offspring of important Charlotte radio personalities, Janice Kirby, daughter of Lee Kirby was in the class of 53. I remember her very well from Mr. Balance's radio class. She was an exceptionally talented voice actress. I've often wondered if she went into that business, or if the fact that broadcasting was very "unfriendly" toward women in front of the mic until sometime in the '80s kept her away from the business. I remember seeing her father riding his bicycle to work during the gas rationing period of WW2. Derek Knell, son of Jack Knell, WBT's news director was in our class, of course. His brother Donald Knell, was two years ahead of us.....and was an outstanding quarterback for that year's football team. I vaguely remember Kurt Webster's son at Elizabeth school, whose name I've forgotten, but they had moved on from Charlotte before he would have become old enough to join us at CHS. As I recall, Kurt's (the "Night Mayor") departure from WBT was a big mystery at the time. This was before the era of broadcasters willey nilley changing "formats" and talent every other year or so for no good reason. Apparently WBT was on the leading edge of that phenomenon. 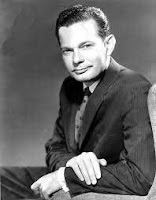 Around that same time, David Brinkley worked in Charlotte for the Associated Press news service and hung around the station (WBT) which was then in the Wilder Building. The story goes that Brinkley wanted to go to work for WBT very badly, but the general manager, Charles Crutchfield told him in no uncertain terms that he didn't have the "voice" for radio.......and he would never be successful in that business. "My life is measured in coffee spoons." LDL 31 a " Boffo" Event ! Ellouise to "Bring Gus Home"